For some time now, it has been fashion to complain about managers. More specifically: to state that they are an evil for contemporary organizations and that we all would be better off without them. I am not one of those people who says that we need fewer managers and that they should go. In my opinion we don’t need less managers but more managers! That is to say, more HPO managers. What we really suffer from in organizations is the so-called laboratory syndrome. In this syndrome we have to choose a new head of the laboratory. In general, we are inclined to choose the best laboratory technician for this position. After all, this person best knows how to do the job. However, we run the risk to wind up with one excellent technician less while we “gain” an incompetent manager. Incompetent because this technician has not been trained to be a manager. Organizations in general undervalue the fact that being a manager is a real vocation, an activity that one has to learn. We are not born as managers, we become managers, by learning and doing. You can get a degree in management (MBA) and even a doctorate (DBA). 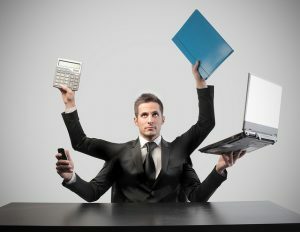 But because we don’t realize how difficult managing is and at the same time promote unprepared people to a management position, while as organizations not offering these newly-made managers support by providing structured training and coaching by senior managers, we wind up with too many bad managers. And that is thus not their fault! No wonder that the laboratory syndrome is reflected by the overall rating managers get in our worldwide HPO research: around a 6.5 for the HPO factor Management Quality. And adding insult to injury: in a recent survey 19 percent of European employees stated that bad management was the main reason why they were not as productive as they could have been (ADP, The Workforce View in Europe 2017): that is a whopping one in five employees! This comparatively low rating is a problem because good managers are vital for creating and maintain a high performing organization. In the HPO Framework the HPO factor Management Quality has the most characteristics, and in the other HPO factors there are also several characteristics which have to do with managers. Certainly, this is a clear indication how important high-quality managers are for an HPO. This importance is illustrated by the outcome of a longitudinal research of 15 years into the value of competent management for operational excellence, conducted by Sadun, Bloom and Van Reenen. They showed, based on research done all over the world, that gaps in managerial practices were associated with large differences in organizational performance. In other words: the better the manager, the better the performance of the organization. Fortunately, the HPO research provides us with clear indications about the behaviors of this type of manager. The study shows that HPO managers need a variety of behaviors of which many fortunately come naturally with most people. HPO managers are characterized by integrity, decisiveness, action orientation, performance drivenness, effectiveness, confidence, and a strong (but never arrogant) leadership style. They are person who are guided in all their actions and ways of working by the principles of client focus and client satisfaction, quality management and continuous improvement, thus inspiring others to excel and achieve extraordinary results. They have mastered the art of balancing ‘daring’ with ‘caring’: they conduct dialogues and at the same time are quick decision-takers, they have a vison and are able to make this vision reality, they listen and say how things stand, they are creative and disciplined at the same time, they challenge while strongly believing in ‘an agreement is an agreement’, and they know their own strengths and weaknesses and use this knowledge to improve every day. In short, HPO managers create the conditions in which their people can excel and shine, day after day. And this creates the true HPO!